Das medientheoretische Symposium Animafest Scanner – Symposium for Contemporary Animation Studies fand zum zweiten Mal, eingebettet in das ehrwürdige Animationsfestival Animafest Zagreb statt. 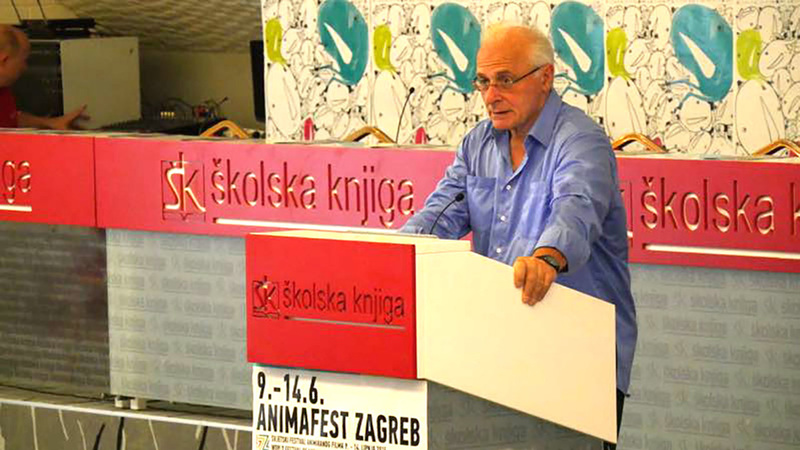 Die Doppelfunktion von ASIFA AUSTRIA Vorstandsmitglied Daniel Šuljić als gleichzeitiger künstlerischer Direktor beim Animafest Zagreb ist für diese Kooperation natürlich sehr vorteilhaft, was sich zB ebenso in einem programmatischen Österreichschwerpunkt zum Thema Animated Experiments innerhalb des Festivals auswirkte, wie in einem Block kroatischer Akademiker als Vortragende beim Wiener Symposium Under the Radar, das ja in gewisser Weise dem Animafest Scanner als Vorbild diente. Als Keynotespeaker konnte mit Giannalberto Bendazzi, dem prominenten Filmhistoriker, Autor und Lehrer, wieder ein echtes Schwergewicht des Animationsfilms gewonnen werden, der mit großer Eloquenz und Erfahrung seinem Ruf als fundierter und unterhaltsamer Speaker voll und ganz gerecht wurde. Dabei wurde es der Intention einer synergetischen Verbindung von theoretischen und praktischen Diskursen, sowie der Förderung des Austauschs und der Vernetzung zwischen Filmemacher- und AkadmikerInnen, wieder durchaus gerecht. Allein das beeindruckende Lineup der Vortragenden aus den unterschiedlichsten Bereichen verdeutlicht das und beweist das gesteigerte Interesse an der Veranstaltung, die sich nach dem vielversprechenden Beginn 2014 sowohl bei ASIFA AUSTRIA, als auch beim Animafest Zagreb, sowie international als wichtiger medientheoretischer Termin und Treffpunkt etabliert hat. „Animation studies are growing all around the world, but also I must emphasize some minor drawbacks: Any book project on animation is handcuffed by the market. Many great filmmakers deserve a monograph, but no publisher would dare to consider such a monograph profitable. We have a linguistic barrier to cross. Even the best of the books does not exist until it is published in English. Copyright should be a right, created to protect authors, i.e. us. It became a nightmare. Nowadays, you have to produce written clearance to use virtually everything: quotations, e-mails, letters, above all illustrations. Giannalberto Bendazzi, currently an independent scholar, is a former Visiting Professor of Historyof Animation at the Nanyang Technological University in Singapore and a former professor at the Università degli Studi di Milano. Bendazzi started as a journalist and always was an independent, self-funded scholar. He turned to full-time academic teaching by the end of the 1990s and has lectured extensively in all continents. His best-known book is Cartoons: 100 Years of Cinema Animation (Bloomington, Indiana: Indiana University Press, 1994), a world history of the medium published in Italian, English, French, Spanish and Persian. This talk focused on the relationship of the metaphoric underpinnings in Alice in Wonderland and the plight of experimental, abstract and non-literal animation. Similar to Alice, audiences oſten seek literal representation of ideas. Animators have oſten taken a literal approach to the book. There are some notable exceptions that explore the realm of the subconscious and imagination. Their emotive effects and associative interpretation are oſten called surrealist, abstract or experimental but directly relate to the essence of Carroll’s narrative. This presentation analysed examples of experimental, abstract and non-literal animation and discussed the abandonment of reason, rationality and narrative clarity. Unusual animated adaptations of Alice in Wonderland as well as non-related work were discussed and examined in relationship to the original story’s celebration of complete nonsense. 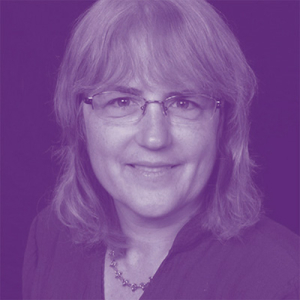 Bonnie Mitchell is an American animator, artist, educator and author. Her research and creative interests include experimental animation, and interactive immersive installation art, her artwork explores perception, the sense of presence and natural phenomena through experiential relationships to our physical and psychological environment using digital special effects in non-conventional ways along with multiple projections, sculpted spaces, electronics, and experimental sound. Ms Mitchell’s work has been screened and exhibited at festivals, concerts and art exhibitions around the world. She is currently writing a book on animation as a fine art form. Classic animation creates moving images by intentional structuring of still pictures. Accepting the instant as an appropriate base for a still unit, animation magically creates time when intending motion by creating keyframe one and a different keyframe two. Detecting the difference, the viewer will start imagining movement in this system of continuous illusion. The process of imagination is essential, without it the construction of movement, of time and space would not happen. This induces the idea of time itself being constantly imagined by an animating (life giving) process that transforms existence into a linear and therefor perceivable system. Time appears as an unconscious technique of peeling linear experience-strips from a non-linear ubiquity. Stefan Stratil studied Experimental Design/Animation with Maria Lassnig at the University of Applied Arts Vienna and graduated in 1992. He was scriptwriting, made short and animation films, various commercials for TV and cinema, illustrations and comics for international magazines and advertising. Since 2004 he is the president of ASIFA Austria (Association Internationale du Film d’Animation). Stratil is a curator of Asifakeil, an animation-based art showroom at the Museumsquartier/ Vienna, and he teaches animation at Webster Vienna Private University. Chop off the heads! Subversive Pleasures in Jan Švankmajer‘s Alice. The surrealist work by Czech animator Jan Švankmajer, especially his feature film Alice (1988) emphasises the political and subversive dimension that Švankmajer’s work continues to implicate. Configurations like the grotesque or irony allow to bypass authoritative structures and aim in this at higher principles, anticipating the shiſt ‘to a new paradigm’. Švankmajer’s grotesque reworking of the Alice figure tells us as much about authoritative structures in place as it leaves us to imagine alternatives. These ‘alternatives’ are strongly imbued with the re-activation and re-vitalisation of the body (and language) in grotesque imagery. Mareike Sera studied Visual Theories (BA Hons.) and Film History and Criticism (MA) at the University of East London. 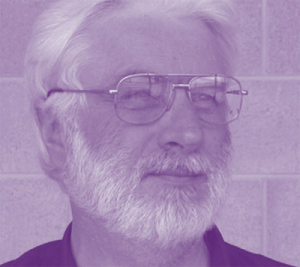 One of her main supervisors at UeL was Professor Michael O’Pray, a renowned expert in the field avant-garde and animation studies. Shortly, Ms Sera will complete her doctoral degree on the grotesque in the work of Jan Švankmajer at Humboldt University Berlin with Professor Peter Zajac as supervisor. Her view on film and animation is especially inspired by film phenomenological approaches and particularly interested in the revolutionary potential residing within the (narrative) ‘other’ as it unfolds at the point of intersection between object and word. The first concepts of abstract film were conceived in Poland by constructivist artists Mieczysław Szczuka, Teresa Żarnower and Henryk Berlewi at around 1923/24. These projects inspired generations of experimental filmmakers. The first completed abstract or semi-abstract Polish films were made in the 1930s by Stefan and Franciszka Themerson. Their later work made in 1945 in London, The Eye and the Ear, remains one of the most successful examples of “visual music” in the history of cinema. Aſter the war a number of artists continued the tradition of the constructivists and the Themersons: Andrzej Pawłowski, Kazimierz Urbański and Józef Robakowski. At the competition of experimental film held in Brussels in 1958 in conjunction with the World’s Fair Expo ‘58, Poland, as the only communist country, was represented by 7 works and collected the Grand Prix and several other awards. 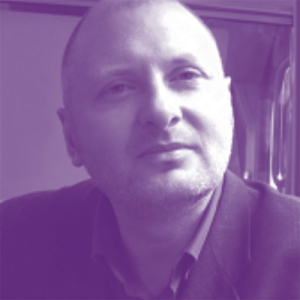 Marcin Giżycki, Ph.D., is an art and film historian, critic, curator, and filmmaker. Associate Professor at Technical College in Katowice, Poland (since 2012), Artistic Director of Animator International Animated Film Festival in Poznan, Poland (since 2007), Assistant Professor at Rhode Island School of Design (since 1988). Former Editor-in-chief of Animafilm, (ASIFA quarterly, 1979-1981). Author of seven books, made a number of documentary, experimental and animated films. The history of programmed animation usually begins with early computer generated films, such as the numerous science and art films funded by IBM and Bell Laboratories throughout the 1960s and 1970s. And yet, already by the 1930s and 1940s, before the development and proliferation of computers, many animators wrote about their experiments in “programming” visual movement. Why did so many early animators expand beyond painted and drawn techniques toward experiments with mobiles and projection machines? How do their analogue devices for storing and repeating movements challenge our understanding of animation history? In this conference paper, I respond to these questions by proposing and outlining a history of early “programmed animation”, which preceded computer technology and anticipated later digital aesthetics. Dr Alla Gadassik is completing a SSHRC postdoctoral fellowship in the Cinema Studies Institute at the University of Toronto (Canada). 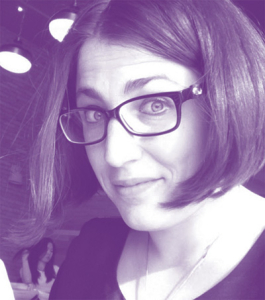 As part of her current fellowship, she is researching the transition from hand-drawn to computer-generated animation in Canada and the United States. 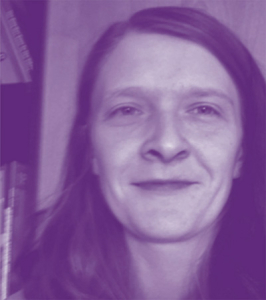 More broadly, she has researched and published work on the role of bodily movement and gestures in the development of filmmaking practice and media technology design. She is currently completing a book project on the regulation of bodily gestures in early animation, cinematography, and film editing methods. Lamie K Wardman (Journalism and Media Studies Centre, University of Hong Kong) Abstract art suppresses the representation of any kind of recognizable reality, interpretable meaning and everyday associations. This freedom opens animation a privileged reflective position from which to encounter extraordinary perceptions and unusual experiences and comment back on reality. Abstract shapes and textures can also be imbued with meaning through movement, repetition, metamorphosis, and juxtaposition, or through their combination with sound or figurative elements. In the examination of moving image work through the negotiation of an abstract mode and figurative representation, we would like to propose the term ‘abstracted heterotopia,’ spaces of alternate ordering, which open up this kind of counter-hegemonic engagement, uncoupling viewers to think differently about the social world around them. 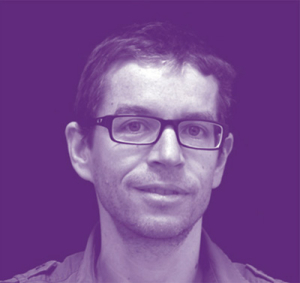 Max Hattler is a Visiting Assistant Professor at the School of Creative Media, City University of Hong Kong. He holds an MA in Animation from the Royal College of Art, and a Doctorate in Fine Art from the University of East London. 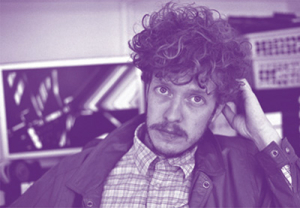 His abstract animation films, video installations and audiovisual performances have been presented in countless festivals, museums and galleries around the world. Jamie Wardman is a Research Fellow at the Journalism and Media Studies Centre at The University of Hong Kong. He holds a PhD from King’s College London. Prior to joining The University of Hong Kong he was a Lecturer in Psychology at the University of Lincoln and a member of the Lincoln Social Computing Research Centre (LiSC), a leading technology institute on social media research in the UK. He serves as the Managing Editor of the Journal of Risk Research. Recent abstract animation is investigated as an innovative artistic form of expression within the contemporary post-modern and digital era. Abstraction was one of the most revolutionary and important innovations of avant-garde artists working in the visual arts in the early 20th century. At the same time, visual abstraction also emerged within the early pioneering works of cinema and experimental Abstract styles and trends have ebbed and flowed over the last century within the visual arts. Within cinematic culture and the moving image, abstract styles have persisted consistently within animation, in a continuum to the 21st century and present day, alongside all other forms of animation throughout the developments of animation processes, techniques or technologies. Abstract form is not merely a visual style; it may be regarded as a mode of thinking and creative visualisation that is highly relevant to post-modern times in our perception and understanding of the world around us in the digital era. 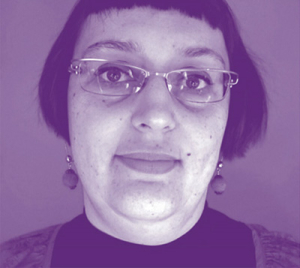 Sabrina Schmid is a Senior Lecturer in Animation since 2001 at School of Computing (Animation and Visual Effects) and researcher at Institute of Design, Culture and the Arts, Teesside University, United Kingdom. She was born in Vienna, Austria. Qualified in fine art and in animation in Melbourne, Australia, her first early works included award-winning short animations as independent filmmaker in Australia and subsequently as freelance animator in Europe. Recent short animations explore the potential of abstract form.animation. Lynsey Martin’s short experimental animations remain largely unknown internationally. His graphic 16mm films Approximately Water (1972), Whitewash (1973, ), Interview (1973) and Leading Ladies (1975) are analysed for their technique and cultural position, artefacts of a productive if marginalized period of artist made films. These graphic films stand as critical works at the heart experimental filmmaking in Australia and speak through their design and production method to current trends in digital media. Martin’s work includes the use of collage and its erasure, the grain of the photographic image and hand painting and drawing imagery directly on the film surface, dealing with the graphic and material elements of the filmstrip, the nature of filmic movement and the nature of photography in public space, with abstraction and illusionism, elements of chance, the deconstruction of film language, the diary film and process as content. These films stand as historic aesthetic traces of an immediate hands-on approach to image making that came into crisis in Australia through the disappearance of technical education in the 1980s when Martin taught graphic design in technical schools. Dirk de Bruyn currently teaches Animation at Deakin University, Melbourne, Australia. Numerous experimental, documentary and animationfilms, videos and performance and installation work over the last 40 years, both nationally and internationally. 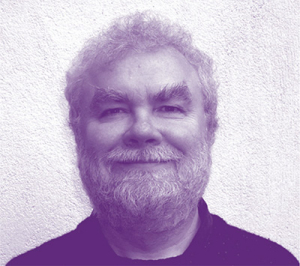 Founding member and past president of MIMA (Experimenta). His feature length time-lapse animation Telescope (75 minutes 2012) screened in July 2013 in the Australian Perspectives Series at the Australian Centre of the Moving Image. His book The Performance of Trauma in Moving Image Art was published in 2014. The marriage of animation and documentary gave birth to a new form of Animated Documentary. How to categorize this new medium? Is it an animated short or a documentary short? Actually, this naming issue may offer new point of views if we relate it to some of the thinking in Michel Foucault’s The Order of Things. In fact, this raises issue that questioning the nature of animation and documentary. We might find no resolution in the process of pursuing the ontology of Animation, while we could fruitfully consider and reflect upon many artists who are making that jump between the gap of “reality” and “imaginary” via Animated Documentary. Shuibo offered a “New Chinese School” getting rid of the form of calligraphy style, turning to a visual autobiography of the artist himself. From this work, more young Chinese artists began to experiment with symbols (related to the Political Pop Trend) in visual narration, which could also been seen as a reflection of structuralism and semiology in the contemporary Chinese art field. Chunning (Maggie) Guo teaches New Media Art and Animation in the School of Fine Arts, Renmin University of China. She holds a Master’s Degree in Digital Media Design from China Central Academy of Fine Arts. Recently she is conducting her PhD paper The Experiments and Critics of Independent Animation. 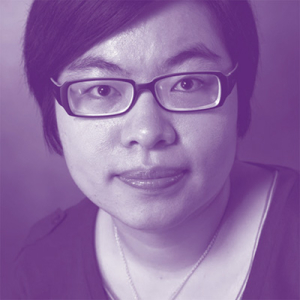 She is the author of two books: Thinking Communication (Renmin University Publishing) and Digital Media Contextual Studies (China Machine Press). The filmmaker Mathieu Labaye refuses to categorise his films, which he sees as sensory experiments. According to Maya Deren, there is no cinematographic “genre”: cinema is an art form in its own right(…) Like this major figure from American experimental cinema in the 1940s, Mathieu Labaye explores the possibilities of animated film, in terms of form but also poetically, metaphysically, and in terms of choreography. Orgesticulanismus and The Labyrinth are filmed works that are impossible to classify, told in a different way, without a storyboard: biographical, scientific, choreographic, poetic, abstract, conceptual, experimental. From a historical point of view, our benchmark is EXPRMNTL – the first international festival dedicated to experimental (and poetic!) cinema – which was first held in 1949 in Knokke, on the Belgian coast. The selection of animation films that it has shown and awarded will guide us through the 1930s in the current edition of “Videographies ” – a festival of experimental cinema and digital video, which awarded Orgesticulanismus in 2010. 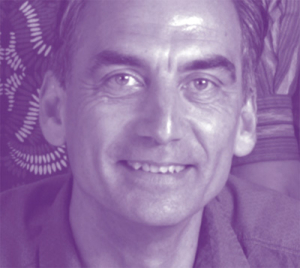 Jean-Luc Slock was born in 1956 in Köln (Germany). He is involved in animation and music since 1979, founding the Camera-etc animation studio. 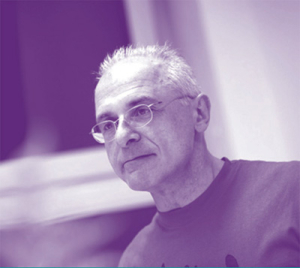 He travelled around the world, leading numbers of animation workshops and organizing professional animation trainings. He also was general secretary of the ASIFA Workshop Group, journalist at the Annecy Festival, jury member in several international animation festivals and for a while teaching animation. At the same time, he played as percussionist in many concerts around Europe. Since 2005, he’s producing numbers of animation films such as Orgesticulanismus from Mathieu Labaye, Hair from Delphine Hermans. He’s running a 13 people team studio in Liège, Belgium. ALIAS YEDERBECK is a hybrid “auto-(author-)construction“ whose goal is to make it possible to sensually experience the conceptual and process-oriented structures of the genesis of an artistic work. According to the postmodern theory of the “death of the subject“, there is nothing but objective structures with mutual dependencies and/or networked systems of meaning. To transform these nonlinear contexts into a cinematographic installation is the rigorous logical conclusion of the project TOWARDS THE IMAGE: 1. Satz_TESTE SANS FIN by Frank Geßner. ALIAS YEDERBECK is an inter-media interface project for “built attempts to connect what is separate“. In the autobiographically motivated investigation of high and low culture in the broad history-of-pictures context, the traditional media are transformed into something digital in order to subject them to a productive artistic “bastardization“. This not only reactivates the principle of the panorama as one of the most popular manifestations of pre-cinema; it also further develops the supposedly obsolete media for a hybrid “Future Cinema“. Frank Geßner is an artist and Professor for Theory and Practice of Visual Arts at the Film University Babelsberg. He is Guest Professor at the HFF Konrad Wolf, the Berlin University of the Arts, and the China Academy of Art, Hangzhou. 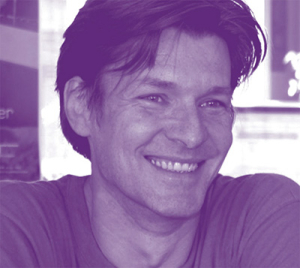 In 2004, appointed Professor of Visual Arts for Animation at the HFF Konrad Wolf; from 2006 to 2009, also Vice President for Teaching, Research, and Development. Since 2009, Professor for Theory and Practice of Visual Arts at the Film University Babelsberg Konrad Wolf. In 2011, Guest Professor at the Jilin Animation Institute Changchun, China. Artistic research and teaching interests: drawing, sculpture, and painting; theory and practice of visual arts; pre- and future cinema, hybrid auteur film, expanded animation. The first animated films were made for wide audience, but with the commercial success related also to the appearance of television, art of animation was developed as amusement suitable for children mainly. The question of children’s psychology is why they liked those films so much and why they laughed to the violence as well as to the jokes they could not and most probably did not understand. Animation offers much more than stories and verbal content and habitually children have been more open to new and different forms of visual expression and presentation. Their view is not yet determined and for them it is much easier to accept different stylisations, distortions and abstractions frequently used in animated films. PhD. Mihaela Majcen Marinić was born on 23rd November 1974 in Sisak, Croatia. She graduated Comparative Literature and History of Art at Philosophical University in Zagreb on 1999. Her doctoral thesis History of the Contemporary Croatian Animation was finished in 2012 and is soon to be published. She also published several papers on arts, books, media and animation. She works at the Ministry of Culture of Republic of Croatia and lives in Zagreb with her family. Augmenting a physical real world environment with modern technologies does not necessarily mean irrelevant CGI gimmicks, it could also add a new layer to your everyday reality with charming hand drawn animation, incorporate serious and even life-saving information into the real life, or tell the story of a Live Performance in an unusual and new way. All those current or upcoming (AR-) devices (mobile & Hand held devices, new Projection Techniques, Oculus Riſt, OLED Technologies, MS Holo- Lens or even Contact Lenses in the future) will not replace traditional forms of storytelling or (animated) filmmaking but they will definitely bring up new and unusual possibilities for designers, animators or creative minds in general. Reinhold Bidner was born in Salzburg. He studied at the University for Applied Sciencesand Technologies in Salzburg, (MultiMediaArt), at the Duncan of Jordanstone College of Art and Design, Scotland, Dundee (Animation and Electronic Media) and completed his degree with merit within the scope of a Socrates Scholarship at K.O.P.P.-Film Berlin. In 2002 he came to work at the Ars Electronica Futurelab in Linz where he became Key Researcher in the field of Time Based Media. Since 2006 he is freelancing in the fields In 2002 he came to work at the Ars Electronica Futurelab in Linz where he became Key Researcher in the field of Time Based Media. Since 2006 he is freelancing in the fields of Video, Photography, Animation, Media Design and Media Art, either as an Individual or in the frame of the Art-Collectives 1n0ut and gold extra, and he also co-organizes and co-curates the Austrian Flipbook Festival. He lives in Vienna and Salzburg and works on artistic projects in Animation, Photography, Video, Visualisation, Performance, and teaches at the University of Applied Sciences Salzburg (since 2010, at Multimedia Technology) as well as the Art University Linz. This presentation will outline several approaches to digital workflow from my forthcoming book Fluid Frames: Experimental Animation with Sand, Clay, Paint and Pixels (Focal Press, 2015). Based on interviews with dozens of currently practicing animators, and my own personal work, I will outline how artists are currently using digital tools to achieve what could never be achieved in camera while striving to maintain an organic proximity to physical materials. Specific case studies include Joan Gratz’s recent digital tapestries of clay paintings, Hugh Welchmans’s feature-length painted animation, Loving Vincent, and my most recent sand and watercolour film, A Tangled Tale. Corrie Francis Parks animates sand, paint and other unusual materials. With one hand under the camera and the other on the computer keyboard, her work maintains an organic connection to natural materials and traditional production methods while fully integrating digital technology. She studied animation at Dartmouth College and received her MFA from University of Southern California. Now an Assistant Professor of Animation at University of Maryland, Baltimore County, her forthcoming book, Fluid Frames: Experimental Animation with Sand, Clay, Paint and Pixels. (Focal Press, 2015) brings together traditional and digital workflow for under-the-camera animation. In an age where we seem perpetually connected through various technologies and social media outlets, it is only logical that there are an increasing number of films critiquing such connectivity. Over the course of recent years we have seen a rise in films directly addressing connectivity and corresponding technologies. Perhaps these films are not overarching criticisms of technology itself but rather how we oſten see people, and in this case, consumers, becoming so increasingly attached to the connectivity that they forget about the ‘real world’ and thus willing to put themselves in harm’s way for the sake of sharing an experience with their connected sphere on social media. This begs to question, how legitimate is this paranoia? Are we turning into our devices? Are we choosing our cell phones over our partners? How does this criticism differ from the criticisms of films during the advent of cinema? In the past factions argued film would demoralize and stupefy the public. From cinema, those critical energies transferred onto television, blaming television as the source of the public’s moral degradation. From television this transferred onto video games, then onto the internet, with each medium criticizing whichever followed as being responsible for turning the masses, or the consumer, into zombies or robots. In this discussion we examine the very nature of these films and question the root and legitimacy of their critique. 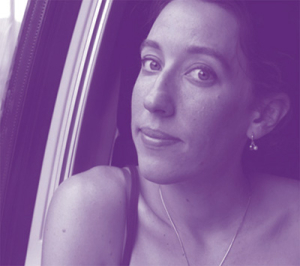 Jeanette Bonds is Co-Founder and Director of GLAS Animation and GLAS Animation Festival. Jeanette is also a contributing writer at Short of the Week. She received her BFA and MFA at CalArts in Experimental Animation. Jeanette co-curated Platform International Animation Festival in 2012 and programmed for Slamdance 2014 and 2015. Her films have been featured at Encounters Short Film and Animation Festival, London, Seoul, Holland, and Melbourne International Animation Festival, and in 2014 was nominated for an Annie Award. Her animated installations have been featured at galleries and museums across the globe. She continues to create short films from across the spectrum, including narrative, abstract, and installations.